The Hungarian government is donating $1.7 million to help with the restoration of Christian churches in Lebanon, government records revealed. 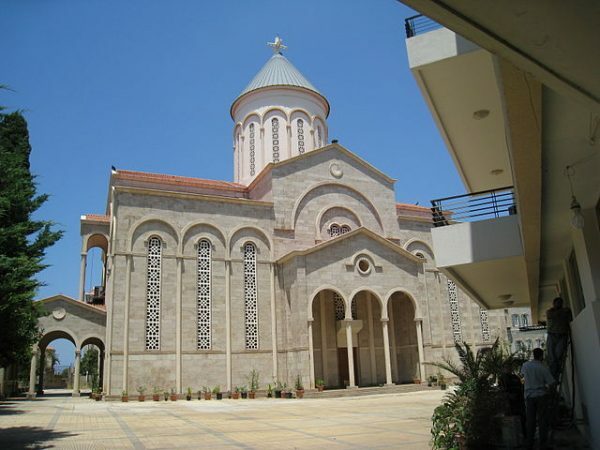 The Sourp Nshan Armenian church in downtown Beirut, Lebanon. The donation, which will help fund the restoration of 31 churches, is part of the Hungarian government’s efforts to support Lebanon’s Christian community so that they could continue living in their own country, and help preserve the Christian identity and presence in the Middle East. Apart from funding the project, Hungary will also be involved in coordinating the restoration of the churches. According to Hungarian Free Press, the project will be overseen by the Embassy of Hungary in Beirut, as well as Hungarian academics from Pázmány Péter Catholic University and Lebanese specialists from the Université Saint-Esprit de Kaslikot. The government is also funding the restoration of Christian minority places of worship in Hungary. A total of 100 million forints (about US$381,000) has been allocated for the restoration of an Orthodox church in Budapest and 2.4 billion forints (about US$9 million) has been pledged to support properties in Hungary that are associated with the Moscow Patriarchate. The conservative publication Magyar Nemzet has suggested that the government’s support for the Russian Orthodox Church stems from the political alliance with Russian President Vladimir Putin, who closely follows the fate of Orthodox communities outside Russia. Hungary has shown its eagerness to support Christians in the Middle East, and it was the first country in the world to create a government office that aims to support persecuted Christians in the region. In January, the Hungarian government announced that it wants the country to become a “hub and supporter” of groups that assist Christians who are being persecuted for their faith. The announcement was made during an international conference in Budapest where leading advocacy groups gathered to discuss the persecution of Christians across the globe. “When I travelled through Iraq I also met with numerous church leaders. Everybody asks that we don’t help the Iraqis and the persecuted get into Europe. Instead we should help locals start up their lives again,” he stated.